Unless you have an MBA or study corporations (they are people you know), you may not realize how many brands comprise PepsiCo. If you thought that is was just Pepsi, Moutain Dew, and Gatorade, think again. PepsiCo. boasts high quarterly earnings for over 50 brand name products including all things Quaker, Frito-Lay, and Tropicana, and much congratulations is owed to the woman in charge, Chairman and CEO, Indra Nooyi. 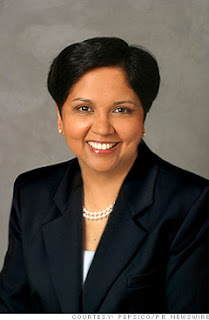 Indra Nooyi was born in Tamil Nadu, India in October of 1955. She worked hard from the start and began to build an impressive list of degrees. On top of her BA in the hard sciences and an MBA earned at the Indian Institute of Management Calcutta, Nooyi graduated in 1978 from Yale School of Management with another Master's degree in Public and Private Management. She has been working with consumer brands from the start -holding product manager positions at Johnson & Johnson and at the textile firm Mettur Beardsell, Ltd. in India. Indra Nooyi's career continued full speed ahead in the U.S. After 6 years with The Boston Consulting Group directing international corporate strategy project, she rose in leadership at Motorola, serving as the Vice President and Director of Corporate Strategy and Planning. Up next, managing the U.S. business for Asea Brown Boveri, which represented about $10 billion of ABB's $30 billion in global sales in 1994. 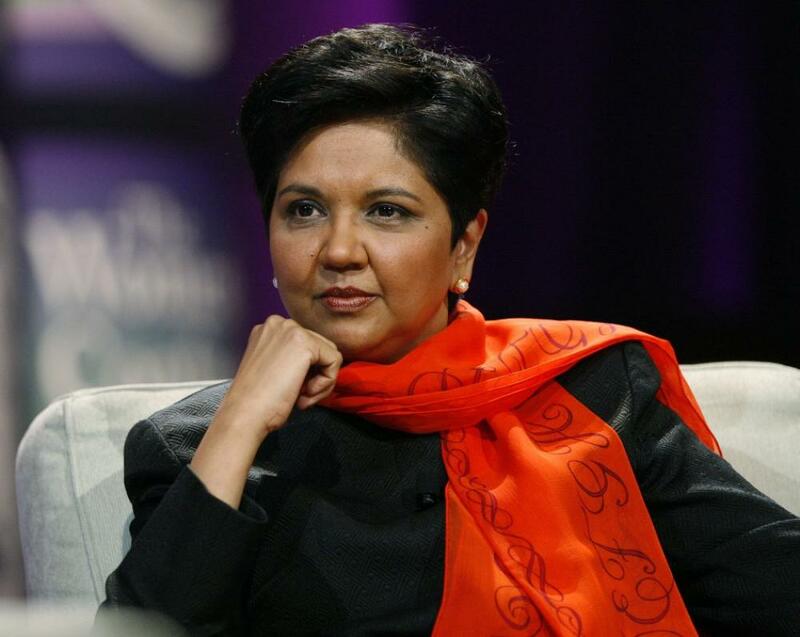 Indra Nooyi has since been climbing the ranks of PepsiCo. Starting as a Senior Vice President, Strategic Planning her skill and contributions did not go unnoticed. Fast forward to today, Indra Nooyi is nothing short of a business savvy power house. "She has directed the company's global strategy for more than a decade and led its restructuring," according to PepsiCo. Nooyi also broke the top 20 on the Forbes List of Power Women for 2012. Married with two children, and boosting PepsiCo. earnings by 17% is just normal. Today we are excited to salute Indra Nooyi for truly blazing the trail!